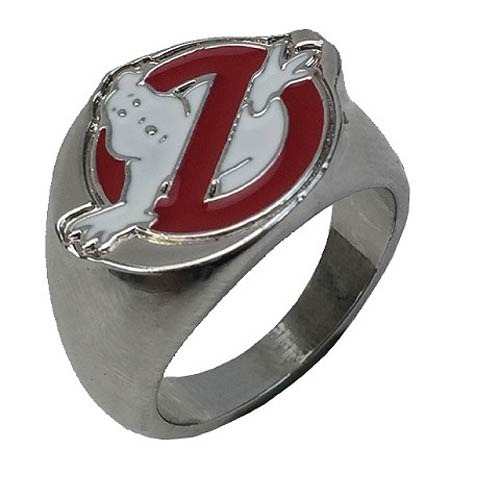 Show your love for the Ghostbusters movies by sporting this trendy ring on your finger! This Ghostbusters Logo Signet Ring features the iconic image of a ghost within a "cancel" sign. It's a must-have for Ghostbusters fans! Ages 14 and up. Ring comes secured inside of soft foam within a jewelry box.